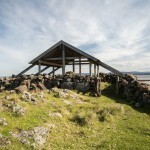 It’s not so high as Mount Wellington, because its height is just 106 meters above sea level, but it is very wide. 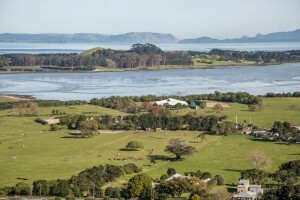 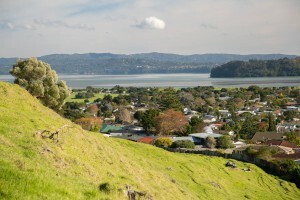 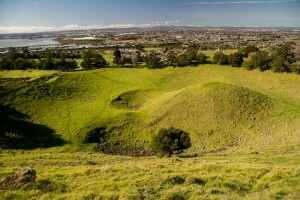 Mount Mangere volcano errupted approximately 18,000 years ago and it has two large craters. 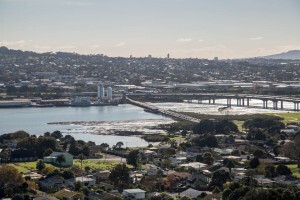 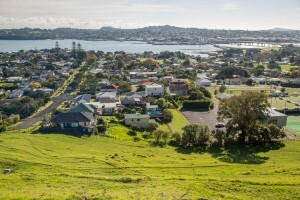 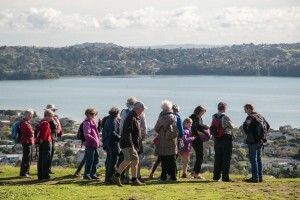 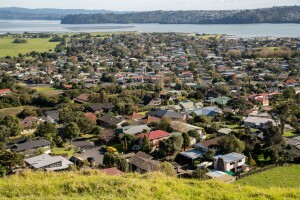 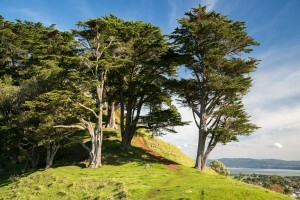 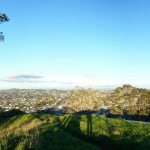 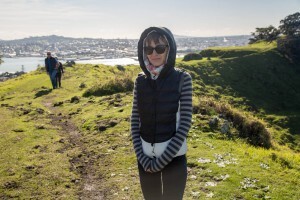 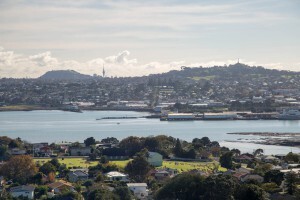 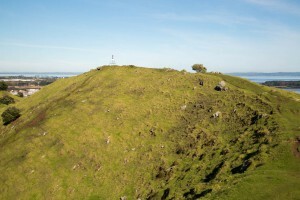 Basically Mount Mangere is one of the largest volcanic cones in Auckland volcanic field. 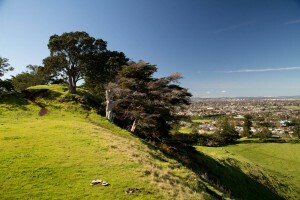 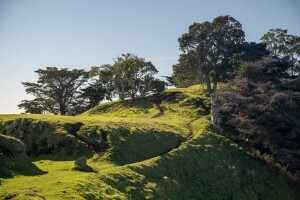 As many of Auckland extinct volcanoes it used to be Maori fortified settlement. 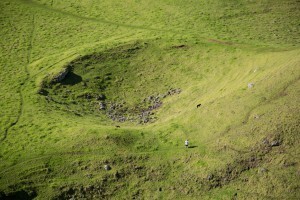 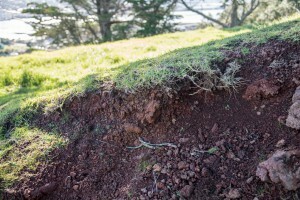 Actually you can still observe some of these earthworks. 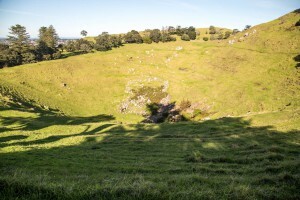 A central crater has a lava dome what is totally unusual for any of Auckland volcanoes! 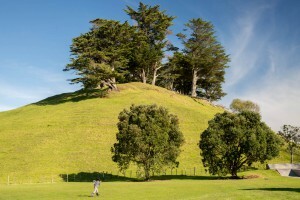 A woman walks with her two dogs at Mangere crater. 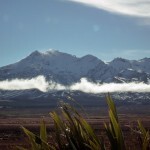 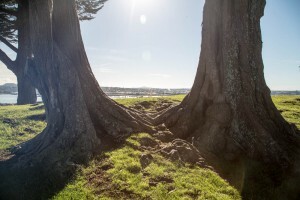 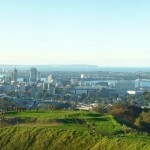 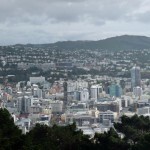 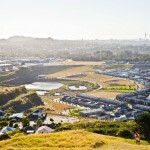 Did you know that Auckland based on approximately 50 volcanoes?